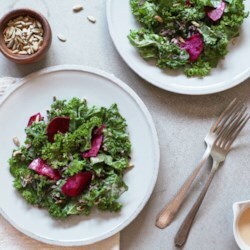 1 Combine kale, beet, wild rice and sunflower seeds in a large bowl. Add dressing and toss until well coated. Serve within 2 hours.